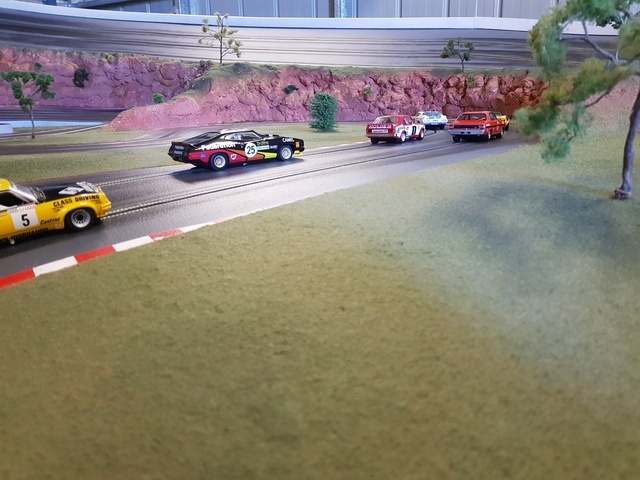 Friday 23rd November will be our last Enduro for the year and we will be running Scalextric COT Nascars, with Stock Scaley Motors. Race distance will be 3 Hours and main race is to start no later than 7.30pm. Cost will be $10 and individual trophies will be Presented to the Top 3 teams at the following racemeet which will also be our Trophy Night for V8's and GT's on Dec 7th. All interested either PM me or post here and i will add you to the list of names particpating in this event. Wasnt it a 3 man brawl?